wineries in the reknowned Chianti Classico region as discussed in one of my previous blogs, Chianti region. A very well known producer, Castellare di Castellina, was one of our stops. Loredana gave us our tasting and explanation of the vineyards. 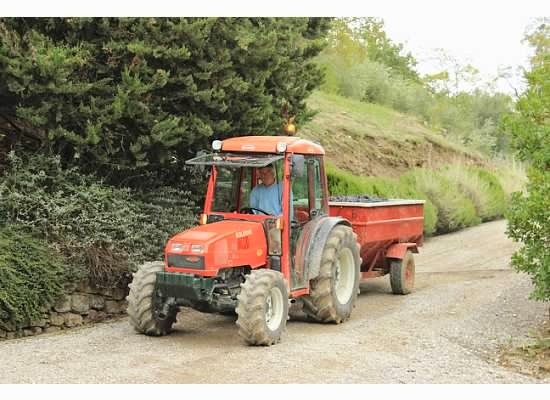 The owner has three vineyard sites, one in Tuscany, “Castellare di Castellina”, one in the Maremma area of Tuscany, “Rocca di Frassinello”, and the other in Sicily “Feudi del Pisciotto”. Rocca di Frassinello is about five times the size of Castellare and is a joint venture with Domaines Baron de Rothschild-Lafite. Just some tidbits about these vineyard sites regarding the labels for Castellare di Castellina display all the endangered birds of the areas and the labels from Feudi del Pisciotto include designers like Versace and Valentino. Part of the profits from the wines sold there get donated to those involved and learning the arts in Sicily. In the Chianti region there are over 400 Chianti Classico producers. They have about 57 acres and produce about 200,000 bottles annually and this is considered a mid-size producer. They have 4 different vineyard sites named Coniale, Piano a Casa, Pendicciaccia and I Sodi Di San Niccolo. Of the wines I tasted the 2008 I Sodi Di San Niccolo was the best. This is their Super Tuscan and is their prized wine. It's the best voted Tuscan wine ever and has won numerous awards. It has fantastic structure, beautiful length and rich fruit. While we were there they were in the middle of harvesting working very long days. It takes them about 6-7 weeks to harvest their grapes and a crew of 30. Ten of those folks are their normal crew during the slow season and the other 20 are folks brought in from the area that they get year after year. Eighty-five percent of those grapes being harvested are the Sangiovese grape, the principal grape in making Chianti. 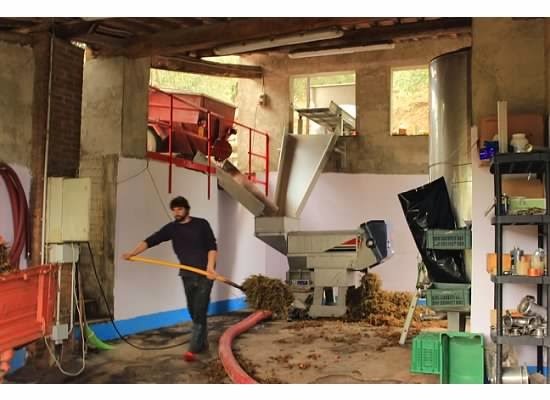 They had already picked their merlot and chardonnay grapes and were working on the rest. This region is known for their reds, but some producers also do make some whites. Here they do produce chardonnay and sauvignon blanc, but only 1,000 bottles so it's not for tasting, only for sale. Multiple times they have made the Top 100 on Wine Spectator and some of their wines have earned the 3 Bicchieri del Gambero Rosso, which comes from the Italian food and wine magazine, Gambero Rosso. The 3 Bicchieri, “meaning 3 glasses”, is the highest rating from a blind tasting of experts valuing them as extraordinary wines. With so many producers in this region it's such an honor to stand out from the rest like Castellare does and produce such a quality product. 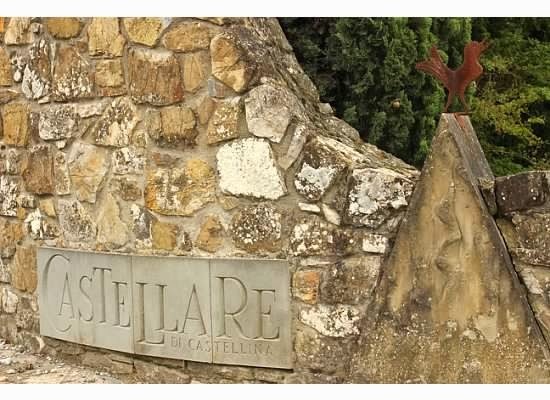 As you know I am a huge fan of Italian wines and Castellare was just another reason why I love this region and the wines that are produced here. Visit them at Domini Castellare di Castellina. Discover Tuscany with this beautiful detailed map.